Currently Viewing Topic: Snow's 2.9G O.S.P.R. Mushroom Mansion - Poll Time! Blazing Hot NEW Update at TopShelfAquatics.com!! Top Shelf's Great Minnesota Adventure!!! 100++ New Pieces of TSA Eye-Candy!! TSA Live Sale Happening Right Now! We have chosen equipment from the commercial and hobby industry. Utilizing the best of both worlds to keep the coral happy and healthy. Two New Releases - Coming Soon! We recently updated this text discount for VIP members. Pm me if you have any new issues. All available right now! Have you signed up for our VIP program yet? Once you text "TSA" to 51660 and opt in you receive a coupon code for 25% off your entire order! 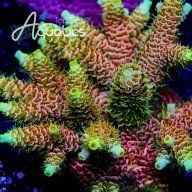 Join Now for an additional 25% off entire coral order. 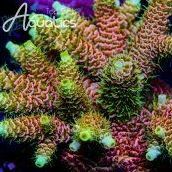 You dont want to miss out on these GORGEOUS new frags that just posted on TopShelfAquatics.com!